← Rebiblican Stealth Strategy Loses Big in Washington State, Wins Big on East Coast. Why? Over the course of the summer I wrote a series of articles about brain science and Christianity, and I promised a final installment that never came. This is it. The series asked and–within the limits of present knowledge–answered a set of questions that fascinate students at the intersection of religion and psychology. How does the structure of human information processing pre-dispose us to religious thinking? Given how our minds work, what kinds of religious beliefs are possible and what kinds are we immune to? How do we know what we know? What gives us a feeling of certainty? What is the relation between reason, evidence, and our sense of knowing? How do conversion experiences work? What makes religious conversion transformative? How do beliefs get transmitted from one person to another? How does our social context influence or even control our religious beliefs? How does religious identity develop in childhood? What makes beliefs resistant to change? What causes people to lose belief? When are people open to reexamining religious assumptions? If you followed the series, or better yet the rabbit trails of imbedded references, you would have found that they distilled an exciting set of discoveries. Brain science is remarkably close to offering a full naturalistic explanation of individual religious experiences, everything from certain belief to moral indignation to mystical rapture to spiritual transformation. As theists are quick to point out, understanding the psychology of religion doesn’t tell us whether any specific set of beliefs is true. I might believe in a pantheon of supernatural beings for all the wrong reasons (childhood credulity, hyperactive agency detection, theory of mind, group hypnotic processes, misattributed transcendence hallucination, viral transmission, cognitive dissonance reduction) and they might still might exist. Brain scientists can’t address the truth value of otherworldly assertions, only the mechanisms and patterns through which they occur in this the human mind. In a similar way, all scholars of religion are bound by the methods and focus of their respective fields. Many fields can illuminate some aspect of the religious enterprise, and each has its limits. Hard scientists are limited to addressing the testable assertions religions make about natural phenomena, such as the origins of species or the causes of epilepsy or the power of intercessory prayer. Historians, aided by linguists and archeologists, can excavate the history of a set of ideas, but – except where theologians make historical assertions– they too cannot answer definitively whether these ideas are factually correct. Sociologists and anthropologists can examine the patterns and impact of belief on a collective . They are uniquely able to assess claims that religious belief increases love and joy, or decreases crime. It remains the domain of philosophers and ethicists to examine the rational and moral qualities of religious beliefs—to examine internal coherence or the virtue of a belief system as it relates to a set of universal ethical principles. All of these are questions that lay outside the domain of brain science which, as I said earlier limits itself to the subjective experience of the individual and the correlates of that experience in neurological phenomena. Despite its boundaries, cognitive science, does offer what is rapidly becoming a sufficient explanation for the supernaturalism that underlies organized religion. If we are particularly concerned with Christianity, then we are particularly concerned with belief. And more and more, we can explain Christian belief with the same set of principles that explain supernaturalism generally. This is a serious blow to orthodoxy, meaning any religion based on right belief, and that includes most traditional forms of Christianity. In the past, one of the arguments put forward by believers was that there simply was no explanation for the born again experience, the healing power of Christianity, the vast agreement among believers, or the joy and wonder of mysticism, save that these came from God himself. These experiences, they insisted, justified or even demanded belief in the Christian God including a personal, present resurrected Jesus. We now know this not to be the case. Humans are capable of having transcendent, transformative experiences in the absence of any given dogma. We are capable of sustaining elaborate systems of false belief and transmitting them to our children. We are capable of feeling so certain about our false beliefs that we are willing to kill or die for them. 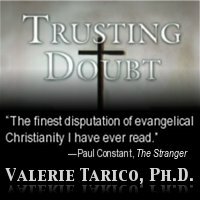 It possible, absolutely, to assert the truth of Christian beliefs even knowing that there are now other explanations for the Christian experience. Claims about the afterlife or the spiritual realm are, after all, untestable. They cannot be proven, and they cannot be refuted. When it comes to beliefs about the “world to come,” literally anything goes. It also is quite possible to assert that the Christian experience has unique supernatural causes. One could say, for example, that Christian joy is somehow different from the joy experienced by other religious people: It alone has both material causes (social/physiological/psychological) and a supernatural cause (e.g the indwelling presence of the Holy Spirit). But this kind of claim puts a defender of faith in an awkward position, one that is at odds with how cause and effect explanations usually work. One general principle that has worked well for humans seeking to advance or refine knowledge is called “parsimony ,” also known as Occam’s Razor . It can be paraphrased thus: “Usually the simplest explanation is the best one.” or “Don’t multiply entities unnecessarily.” If we can predict storms by looking at barometric pressure and cloud formations, then there is no need to posit the existence of storm spirits or angry ancestors causing us trouble. If we can predict that an electric light will come on when a circuit is completed, we don’t talk about the additional but undetectable flow of magic that makes the whole thing function. When a scholar adheres to the principle of parsimony, explanatory factors get added only when they allow us to control or predict with greater accuracy. In every field of human knowledge except theology, if we can find a sufficient explanation within nature’s matrix, we don’t look outside. We no longer, for example, posit that demons are involved in seizures or bubonic plague. It’s not that we know for sure that the demon explanation is wrong, simply that it is unnecessary for predicting or treating seizures. What does all of this imply for the future of religious studies? Simply that supernatural explanations for religious experience are becoming unnecessary. Eighteenth Century French mathematician and astronomer, Pierre Simone Laplace , wrote a volume on the movements of the heavenly bodies. When asked by Emperor Napoleon I why he had not mentioned God in his treatise, he replied, “je n’ai pas eu besoin de cette hypothèse.” I had no need of that hypothesis. Modern scholars of religion, more and more, find themselves echoing the words of Laplace. We have no need of that hypothesis. Read this series from the beginning. Gallery | This entry was posted in Cognitive Science and Christianity, Musings & Rants: Christianity. Bookmark the permalink.